Christmas of Discovery Audio Advent Devotional Series Begins Now! | Jump for Joy! Christmas of Discovery Audio Advent Devotional Series Begins Now! Beginning today, I will post a link that will allow you to hear my reading of a chapter a day from my book, Christmas of Discovery. This audio version is free. I would be delighted if you choose to share the Christmas season with me, as we begin to open the Gifts God has so freely given us. 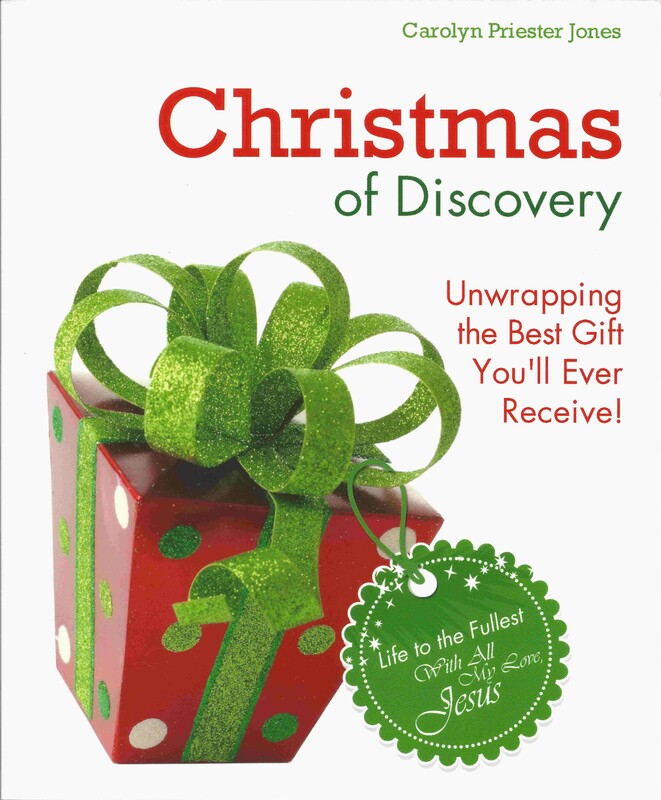 Besides the Joy of what God will bring you through the Gateway of the book, you have the opportunity to invite others to have a Christmas of Discovery too. You can share with your friends and family by referring them to the links. Others have told me how much they enjoyed discussing the questions with their family and friends. To be sure you don’t miss any posting, you may sign up to follow this blog by entering your email in the “follow” section at the bottom of the blog posting. Today’s reading can be heard by clicking this title: Introduction and Dedication. Tomorrow will begin Chapter One. May you enjoy Life to the Fullest in Jesus, beginning right now! Posted by carolynpriesterjones on November 30, 2013 in Christian, Encouragement, Joy and tagged Audio, Christmas, Devotionals, Discovery, Family, Free, Friends, Gateway, Gifts, god, Holy Spirit, Jesus, Life to the Fullest.